June 1 (Kickoff Party): Me First and the Gimme Gimmes, Jello Biafra and the Guantanamo School of Medicine, and Guttermouth. (followed by Campfire Stories with Fat Mike and NOFX). 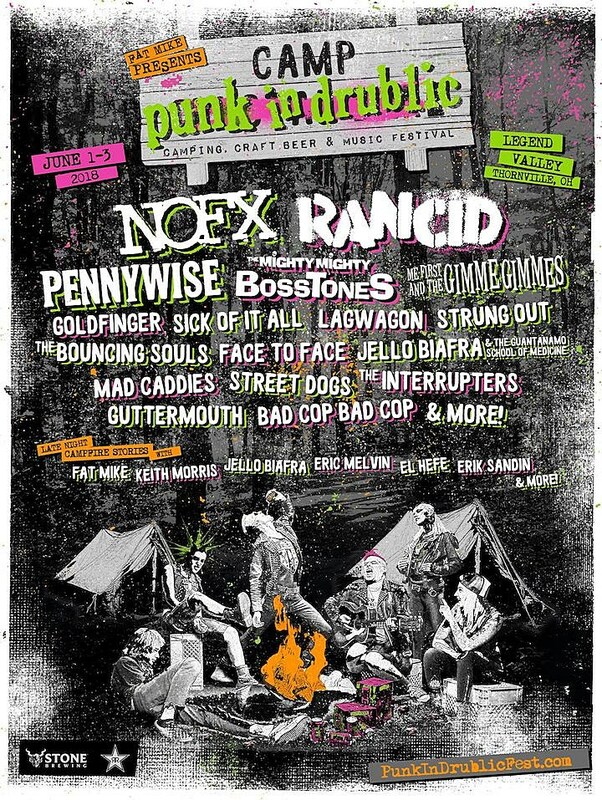 June 2: NOFX, Pennywise, Goldfinger, Strung Out, Mad Caddies, Face To Face and Bad Cop / Bad Cop (followed by Campfire Stories with Keith Morris, Jello Biafra and friends). Sunday, June 3: Rancid, The Mighty Mighty Bosstones, Sick Of It All, Lagwagon, The Bouncing Souls, Street Dogs, and The Interrupters. Next Next post: PRONG Releases Official Music Video for “Forced Into Tolerance”!